From rigorous planning processes to maintenance and upkeep, energy projects need to remain vigilant about their productivity and their spending. Energy companies need to leverage next-generation equipment and technology to provide sustainable and renewable energy sources; otherwise, the costs can become prohibitively high. Using UAVs for energy projects can streamline their planning and construction, while also improving their general day-to-day processes. The utility of UAVs for the sustainable energy industry begins with surveying. Wind and solar projects require very accurate surveys to be as productive as possible. Not only does a complete land survey need to be completed to ensure that they are placed safely, but they also need to be placed for maximum production. 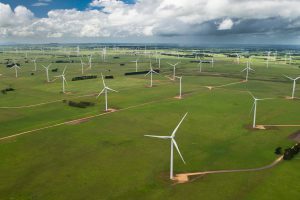 Through LiDAR UAV scanning techniques, 3D models can be created of the terrain, and engineers can find the best ways to position wind turbines and solar panels. Prior to the adoption of UAVs, many of these surveys had to be done manually with GPS and robotic collection equipment. This was a time consuming process. With new data and 3D modeling, engineers can simulate different scenarios to determine how much sun or wind can be captured. UAVs can be used alongside special sensor systems to detect damage and improve maintenance. With infrared sensors UAVs can be used to detect microcracks in solar panels — damage that may not be otherwise perceived by a physical inspection. Following harsh weather events, such as large storms and hail, UAVs can be used to inspect a large solar site in very little time, helping to quickly deploy technicians to the areas most need them. Likewise, UAVs are particularly useful at capturing defects in wind turbines. Without drones, maintenance crews must climb wind turbines to complete full inspections. Human eyes may not always be able to catch what a high-resolution camera can catch. Wind turbine inspections performed by UAVs are generally more accurate since drones can cover more angles and heights that a manual inspection. UAVs can produce comprehensive reports, and large volumes of data to both detect and track damage. This improvement to maintenance isn’t just an issue of cost or reduced overhead: it’s an issue if production. Better maintenance means better uptime, which in turn provides better energy efficiency and a more consistent, reliable energy supply. When it comes to alternative energy sources and sustainable energy projects, energy efficiency is one of the most important metrics. In terms of day-to-day operations, UAVs can be used to produce security scans (to ensure that an area has not been disrupted), identify areas of vegetative overgrowth that need to be cut back, and look for hot or cold spots which could indicate further problems with the systems. This replaces the need for regular walk-through surveying, which can be prohibitively time-consuming given the sheer scale of most energy projects. By performing this routine scanning of the property surrounding the energy project, the organization can prevent costly problems from arising later on. The faster and more affordable the scanning is, the more frequently it can be completed. Energy projects are likely to begin using UAVs in some dramatically improved capacities in the coming years. Not only are they able to detect repair and maintenance issues far faster than physical inspections, but they can be used to greatly improve the surveying and construction process. 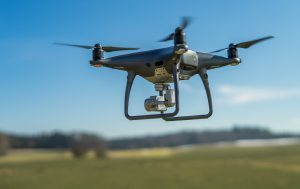 UAVs are constantly improving — and when paired with advanced systems of sensors and the IoT, they can provide extraordinarily robust systems.